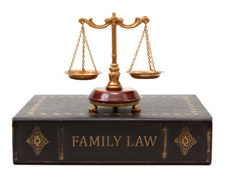 Family Law | Law Offices of Martin & Hipple, P.L.L.C. It is because your family is so important that divorces, custody battles, and other family law cases are some of the hardest to endure. This is why it is so important that you have an attorney to formulate legal strategies, guide you through the legal process, negotiate, and advocate on your behalf. An attorney is often a calming force when relationships between family members are strained to their breaking points, as is usually the case with divorce. Martin & Hipple are experienced in family law and will advocate for your rights, giving you counsel and guidance through this trying process. In addition to divorces, Martin & Hipple have successfully handled adoptions, terminations of parental rights, custody and parenting time disputes, relocation disputes, child support disputes, domestic violence cases, alimony cases, prenuptial agreements and many other family law matters. Every family law case is different so it is important that you schedule a free consultation with one of our attorneys to understand the best legal path to reaching your goals. Protect your family and your property.